ANYBODY NEED A 2008 CALENDAR? On a whim, I decided to put some of my photography into a 2008 calendar for both myself and a few of my rail enthusiast family and friends. After I got all done putting it together, I was so impressed with the result that I thought I might be able to actually sell a couple. Plus, with the way volume discounts work out with the printer, it's cheaper for me to order a dozen or more, rather than just the handful I need. So, I thought I'd gauge interest and see if anybody would actually buy such a thing. I know, it's a bit late - most of you are probably not the procrastinators that I am, and bought your 2008 calendars months ago. But, if you're interested, I've posted a page about it over on my personal website: Rails Through the Rockies 2008 - The Photography of Nathan D. Holmes. 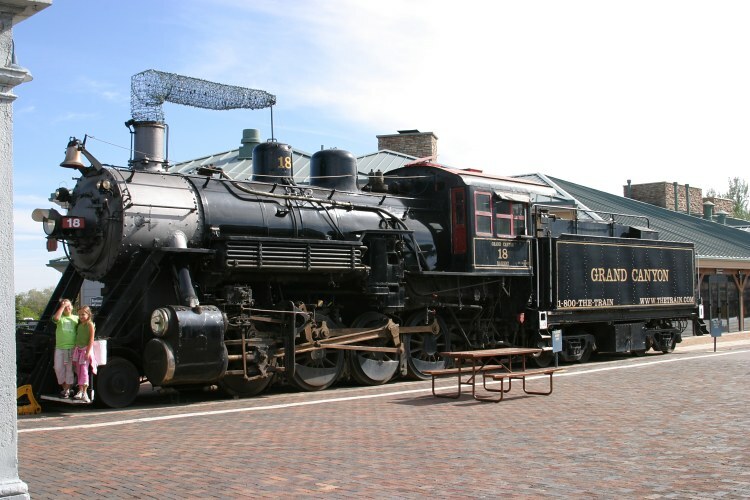 On Thursday, Earl Knoob announced on NGDF that the San Luis & Rio Grande has acquired two Lake Superior & Ishpeming 2-8-0s. #18 and 20 served on the Grand Canyon Railway after their freight-hauling career was over, and were swapped to the Mount Hood Railroad in April 2007 for a Northern Pacific/SP&S 2-8-2. The Mount Hood ceased steam operations on 31-Aug-2007, putting the two back on the market. 18 is fully operational, but 20 has been used as a parts source. Earl states that it's not beyond restoration, but it's definitely a "project". 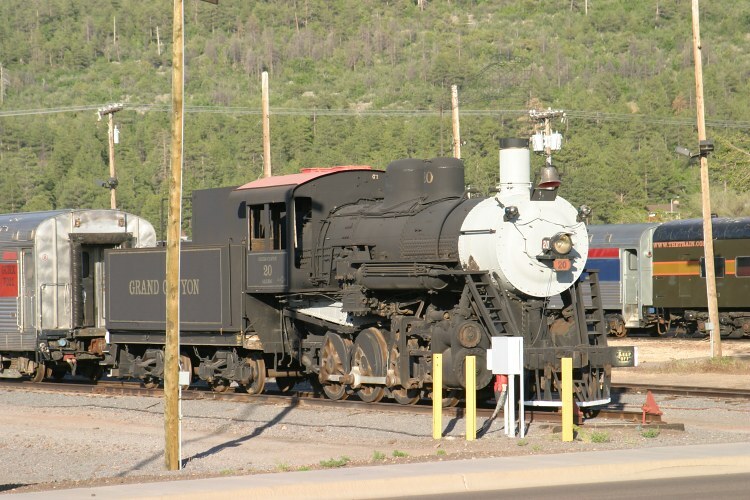 18 can produce approximately 9000 more pounds of tractive effort than SL&RG's current 2-6-0 (#1744), and thus can handle a longer train over La Veta, when necessary. To give you some idea what they look like, here are photos of [GCRY 18] and [GCRY 20], as seen in Williams, AZ, when I was there in 2005. Earl also mentions acquiring dome cars for the run. The Trains Magazine Newswire yesterday reported that in addition to the two steamers, 5 ex-Santa Fe Budd-built "Big Domes" are being acquired from Holland America. These will likely be the twins of some of the cars sold to the Canon City & Royal Gorge in the last couple years - likely candidates being HALX 508-513. There aren't many details on this yet, but it should be an exciting addition to next year's train. There's no information yet on when any of this equipment will move to Alamosa, but when I hear something I can pass along, it'll be posted right here. I haven't managed to do much on the site lately, but over the last few weeks I have added albums for two photographers who were nice enough to contribute photos. The first is Larry Todd of Pueblo West, who has contributed scans of some of his Rio Grande photography in Colorado during the 1970s and 1980s. You'll find a new gallery of his work [here]. He's also allowed me to use scans of a number of slides I've purchased from him, and thus you'll note a number of his shots helping to fill out the GP35/GP40/GP40-2 roster photos, such as [this one].